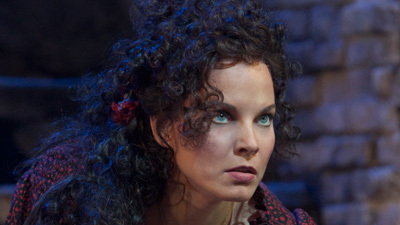 The great singing actress Waltraud Meier stars as Carmen in Franco Zeffirelli’s sumptuous production of Bizet’s colorful opera. 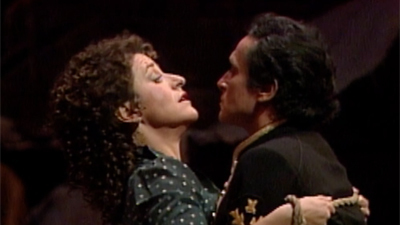 A beautiful gypsy driven by passion and love of freedom, she draws the soldier Don José, portrayed by the legendary Plácido Domingo, into a web of love and jealousy that will seal her fate. 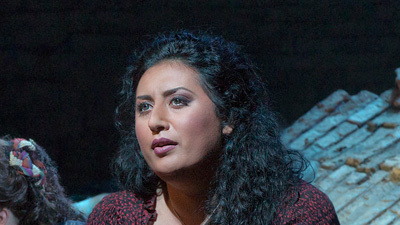 Angela Gheorghiu is Micaëla, the innocent girl Don José left behind, and Sergei Leiferkus sings the bullfighter Escamillo. James Levine leads the Met orchestra and chorus.